We are delighted that our clients HOSPA have announced that both their courses in Financial Management and Revenue Management have been officially endorsed by the Institute of Hospitality, giving the courses international recognition and underlining the value they provide to participants. Endorsement by the Institute of Hospitality, which is the professional body for managers and aspiring managers working and studying in the hospitality, leisure and tourism industries, involves independent evaluation by a Professional Review Panel to demonstrate the requisite standard. The courses are designed to benefit those working in the hospitality industry who want to improve their financial or revenue management skills, while aiding career progression and enhancing their knowledge. The courses are delivered by HOSPA, in association with its training provider Arena4finance Ltd. HOSPA is the association for hospitality’s finance, revenue management, marketing, asset management and IT professionals; a not for profit educational organisation that helps its members develop their careers, network with colleagues and keep up-to-date with industry trends and developments. 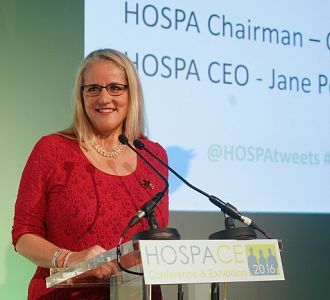 Head of Professional Development at arena4finance and HOSPA, Debra Adams commented: “We are delighted to be recognised by the Institute of Hospitality with the internationally valued endorsement for the HOSPA Professional Development courses in Financial Management and Revenue Management. This accolade confirms that our courses adhere to best practice standards for the delivery of online education programmes, are relevant to the needs of the industry and meet a wide range of essential criteria relating to quality standards and quality learning outcomes. We are committed to ensuring that our courses remain relevant and specific to the needs of those pursuing careers in these important roles in the hospitality sector. This endorsement provides evidence that we are fulfilling that promise. On successful completion of each level of our courses, following the submission of project work and the passing of examinations, the learner will gain international recognition and added value with a certificate endorsed by the Institute of Hospitality”.